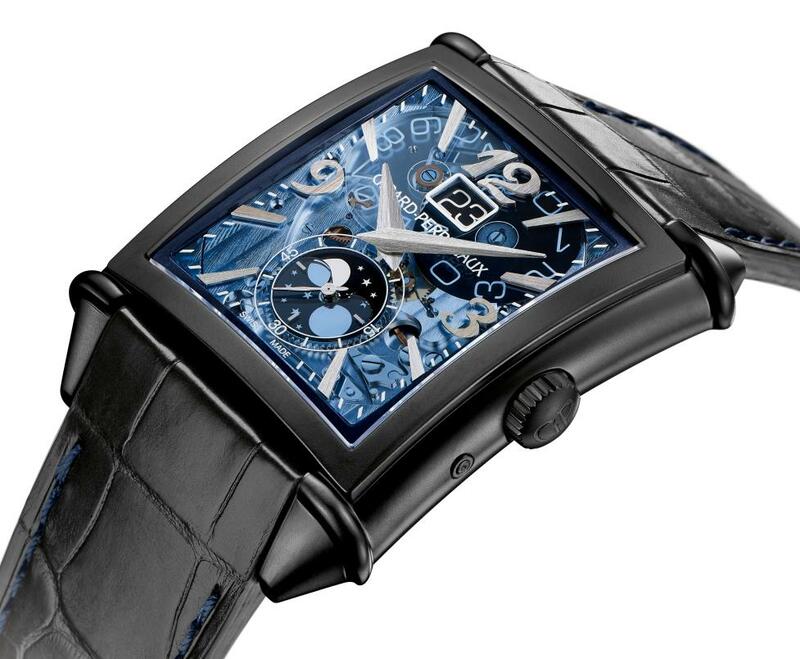 For Only Watch 2015, Girard-Perregaux produced a one-off Vintage 1945 XXL with Large Date and Moon Phase in a titanium DLC case with a blue polycrystalline transparent dial. This rectangular timepiece comes in a case measuring 36.10 mm x 35.25 mm by 11.74 mm thick. At twelve o’clock is a large jumping date indicator which displays the date on a pair of discs, one of which is transparent, and is the subject of a patent. A moon phase indicator combined with a continuous small seconds function sits at six o’clock. 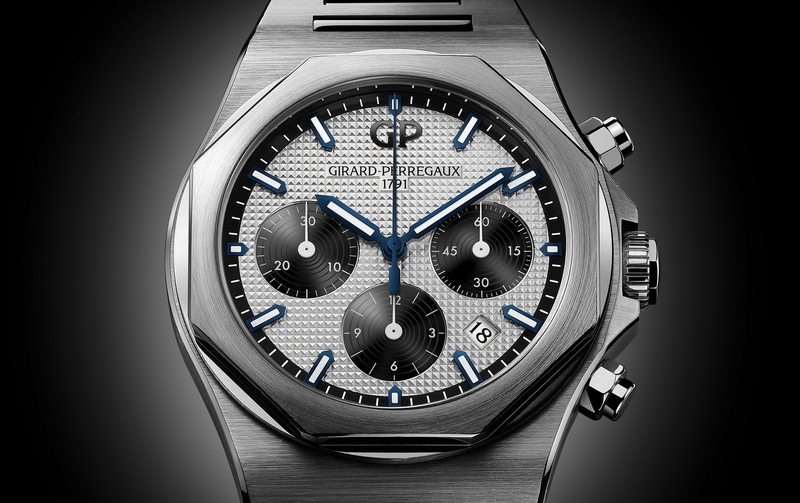 Arabic hour numerals and indexes have been applied to the dial, along with a printed minute track. 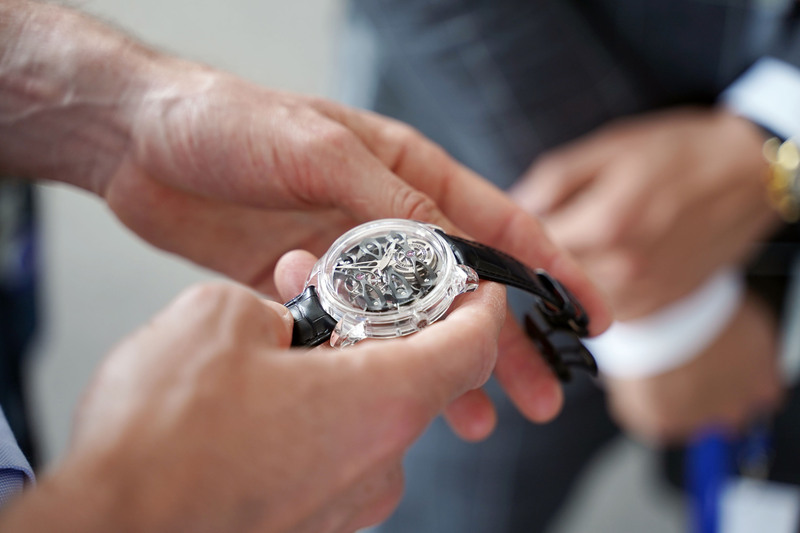 An open caseback offers a view of the movement and is signed with an “Only Watch” on the sapphire crystal. Water-resistance is 30 meters. 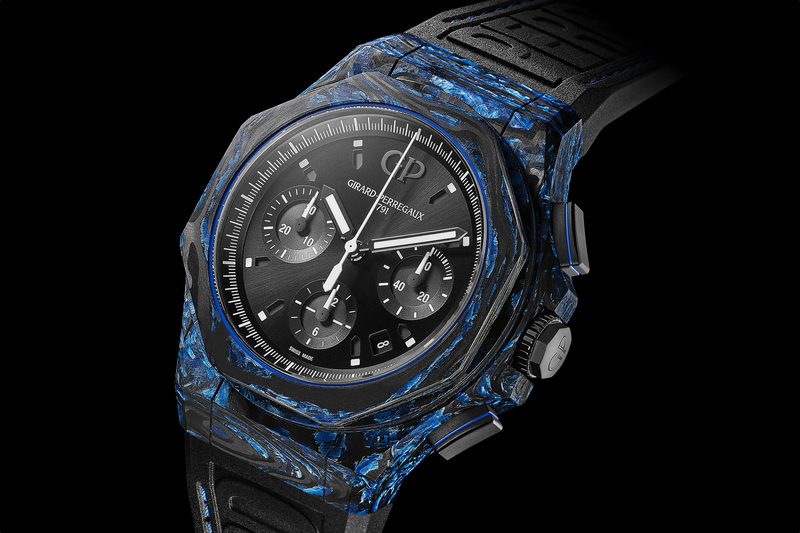 This unique timepiece is presented with a black alligator leather strap with blue stitching and a DLC-treated steel buckle.